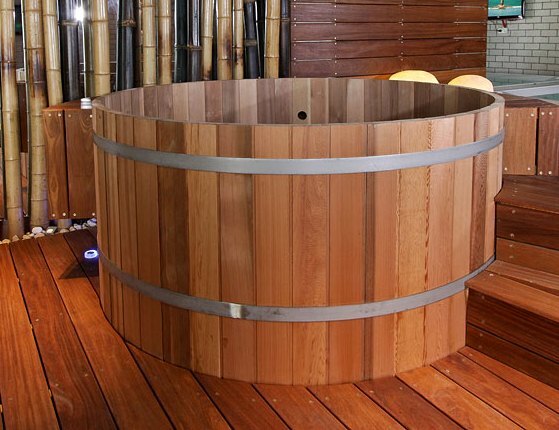 Northern Lights Cedar Hot Tubs have been popular among architects and designer as well as home owners, spas and world class resorts. 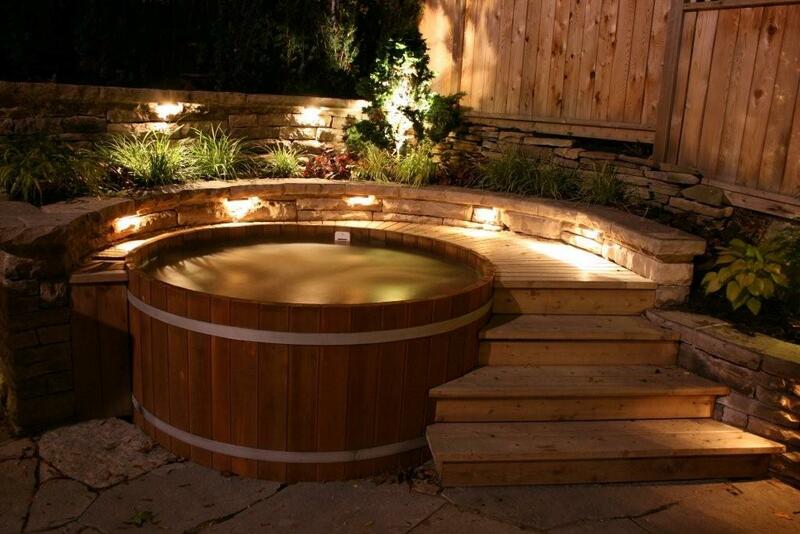 It is our commitment to quality as well as our ongoing support both before and after every order that has made us the leaders in hot tub manufacturing. 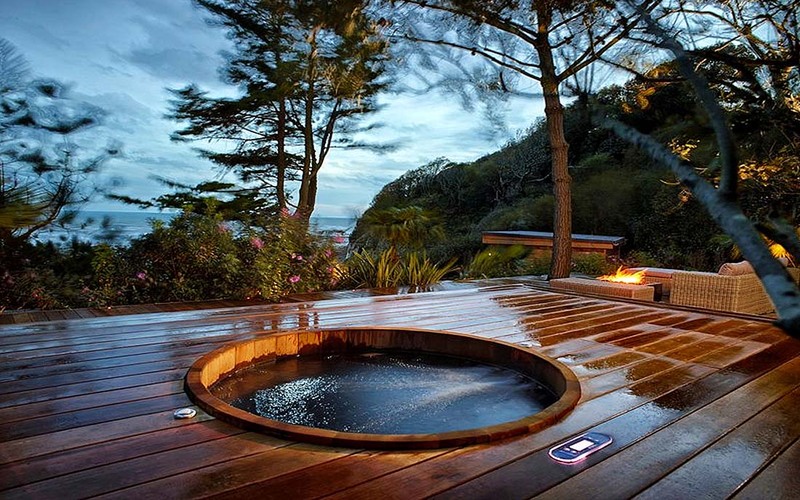 Today you can find our hot tubs on every continent. 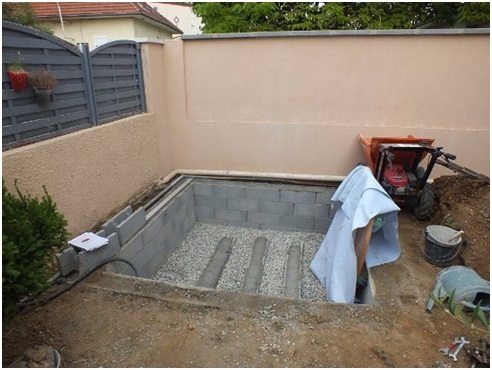 We have warehouses in both North America as well as in Europe to better service our customers. The ancient art of healing the soul is part of the unique experience of a hot tub. 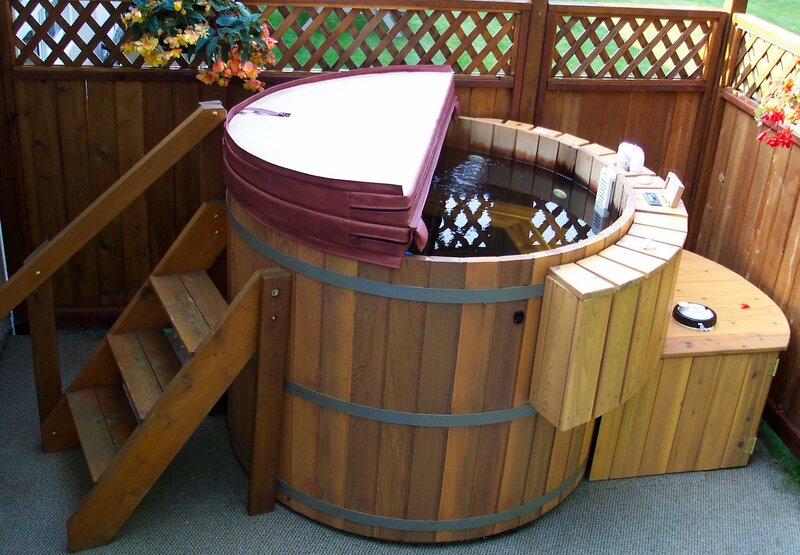 The added depth and simplicity makes our tubs truly unique when compared to other plastic spas. 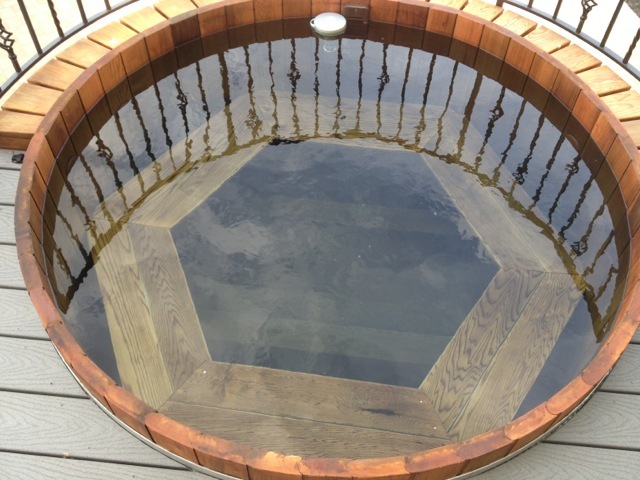 The circular design makes our hot tubs a great place to gather with family and friend(s) in a "round table" tradition. 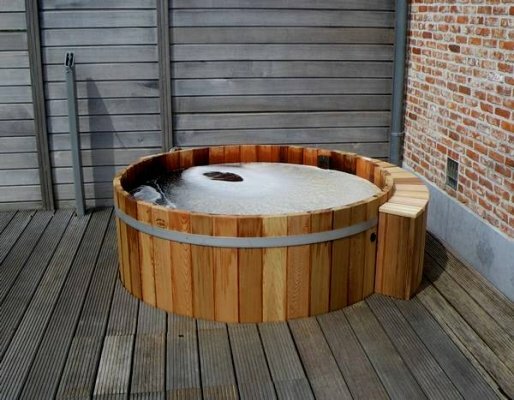 With the option of powerful yet quiet jets, our hot tubs can provide both a spiritual healing as well as a more traditional spa hydrotherapy massage. 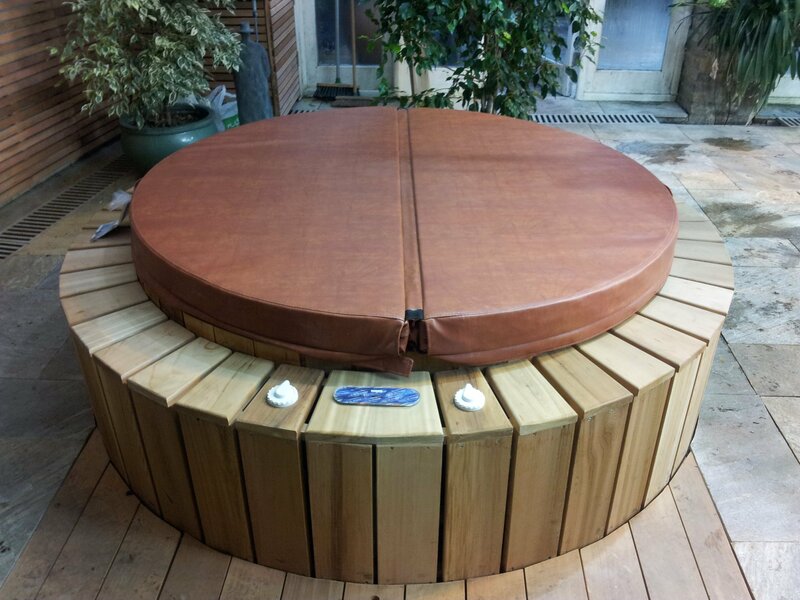 We use powerful adjustable jets that sooth and gently massage the muscles and joints. 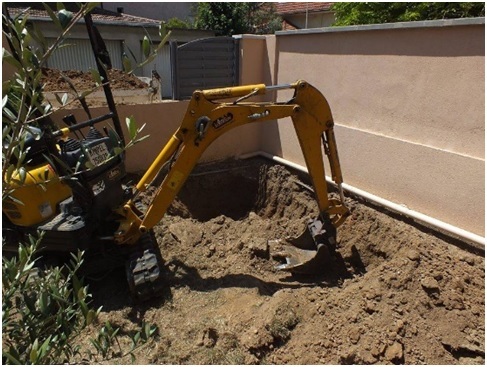 Our commitment is both to our customers as well as the environment. 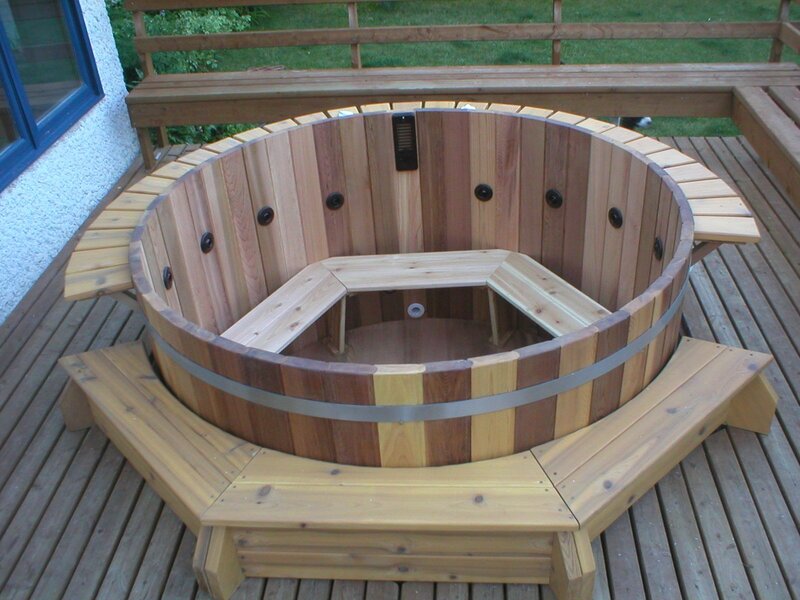 Northern Light's (Lights) manufactures hot tubs using 100% sustainable forestry practices. You will not find our hot tubs in landfills and our hot tubs have the smallest manufacturing carbon footprint of any other style of the hot tub or plastic spa. 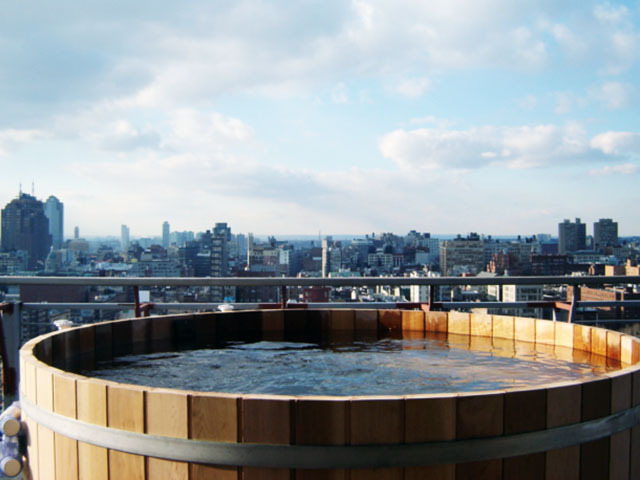 Our high-efficiency heaters and pumps reduce operational costs. 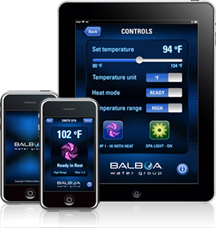 We pride ourselves in respecting our planet now, and in the future. 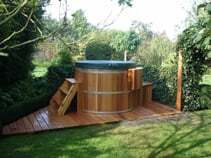 Our hot tubs are built on reliability, simplicity and longevity. 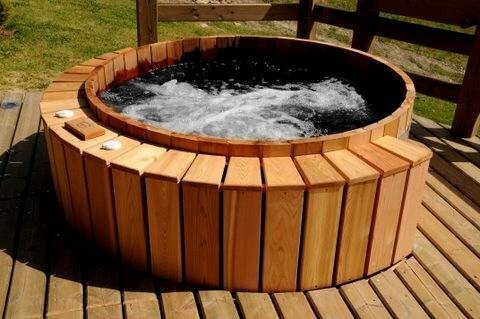 We don't make the hot tub with TV's and fridges because this is not what our customers want. 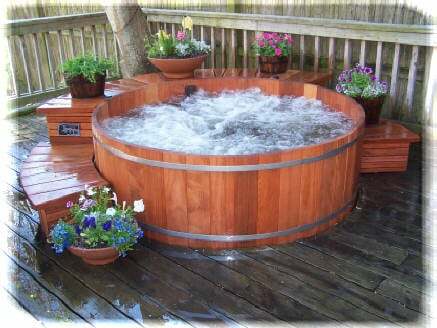 Instead we manufacture quality hot tubs that surpass our customer's expectations. 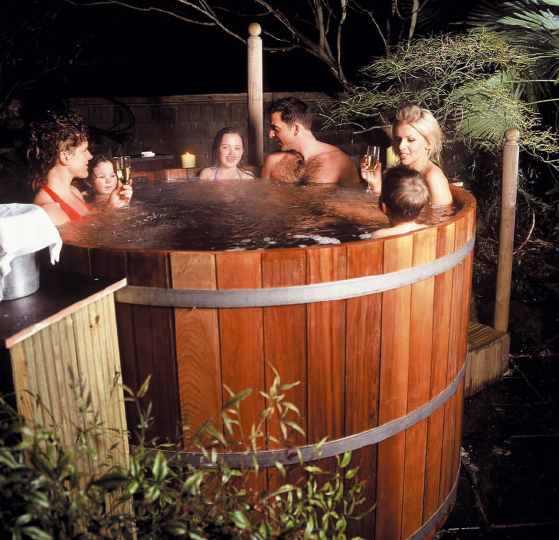 You will find all our hot tubs contain industry leading components from our pumps to our digital heaters. 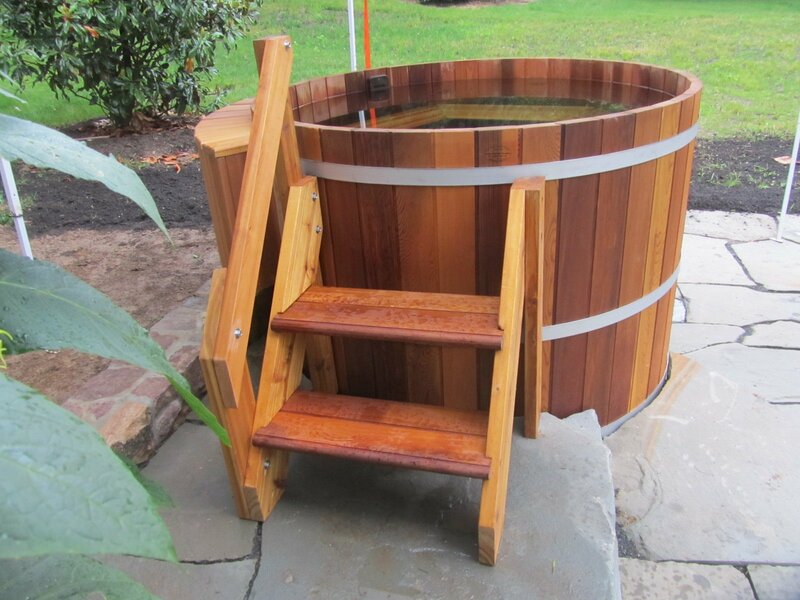 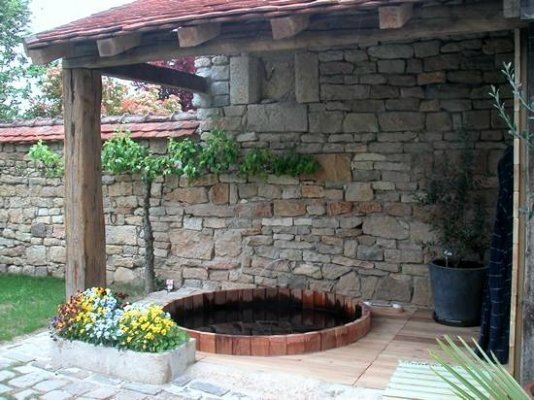 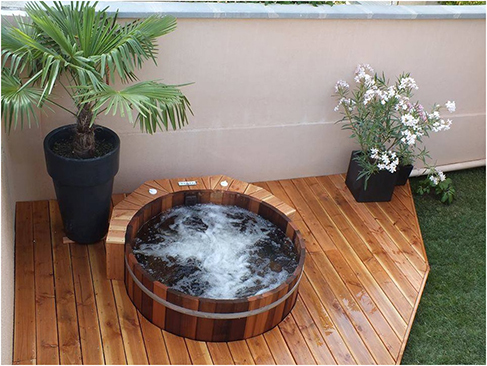 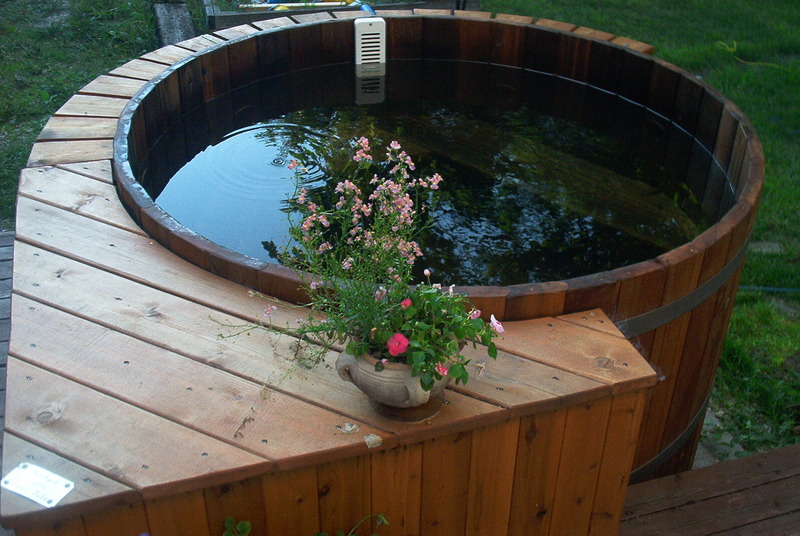 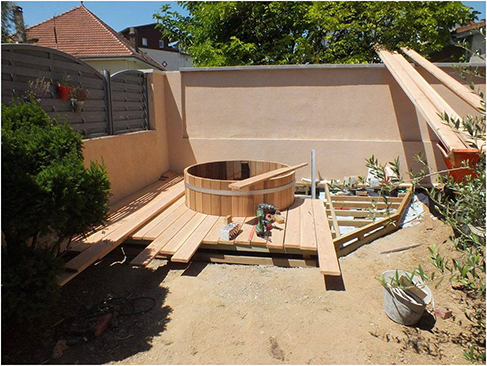 A wooden hot tub has the distinct advantage of fitting almost any setting from small hot tubs, to outdoor hot tub! 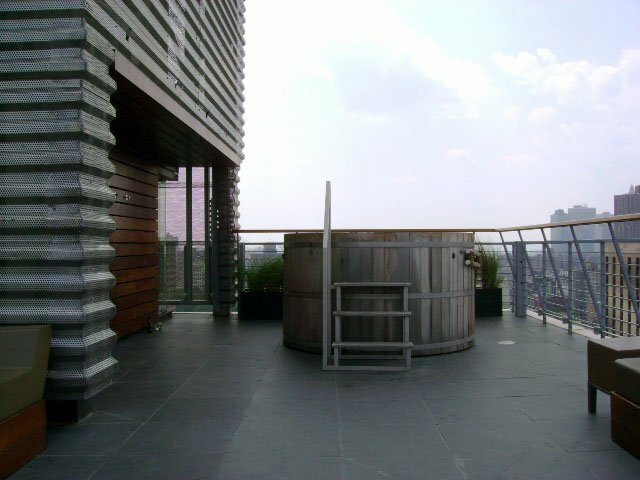 From standalone installations to deck integrations our tubs have no limits. 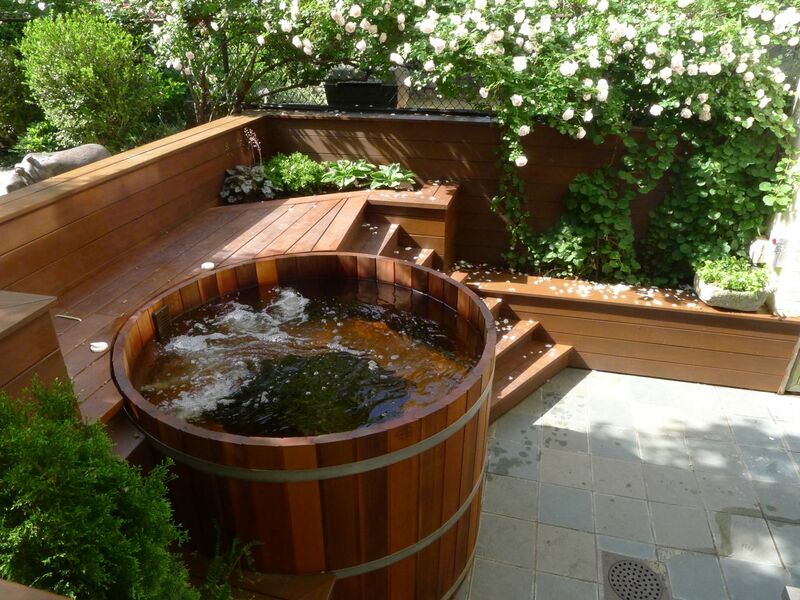 Designers and home owners are always coming up with unique design installations that makes a hot tub truly unique. 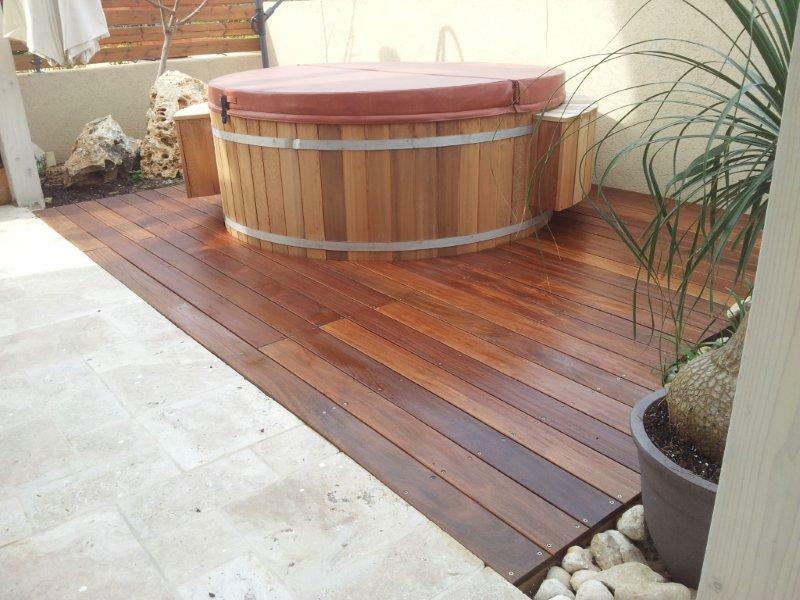 Just visit our design studio to see some of the more common installation as well as our photo gallery which has lots of award winning designs to stimulate the imagination!